Our non profit is building a chicken coop from cob!!!! Come out and enjoy 5 days of great people and bunches of fun!!!! Our coop will house 4 laying hens. The foundation is already complete. 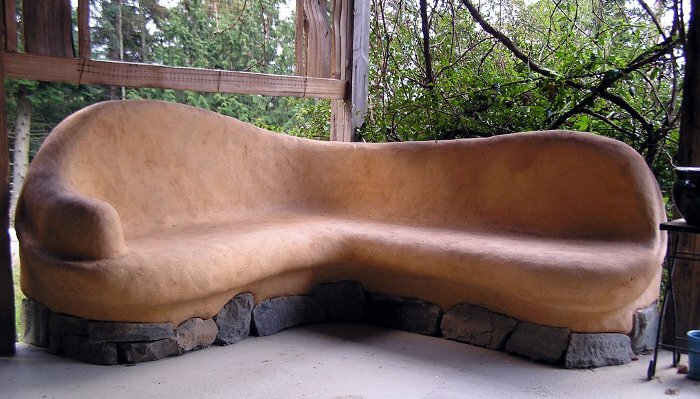 We will work on mixing cob and applying it to the wall, how to care for chickens, how to design a coop, and how to build. Registration is required and work trade is also available.Work Trade can cover up to 50% of your tuition. Scholarships are available via Fairtrade Greensboro Green Bucks Trade. If you volunteer 20 hours or more at one of our participating sites your admission is free. Tuition includes workshop training and snacks. For overnight accommodation we can refer you to local camp grounds and hotels. Out tuition is a tax deductible donation that is non-refundable. Become a Member to participate in our free classes. All Tuition is Tax Deductible and Non Refundable. All Meals are self serve and self prepared. You must bring your own food. 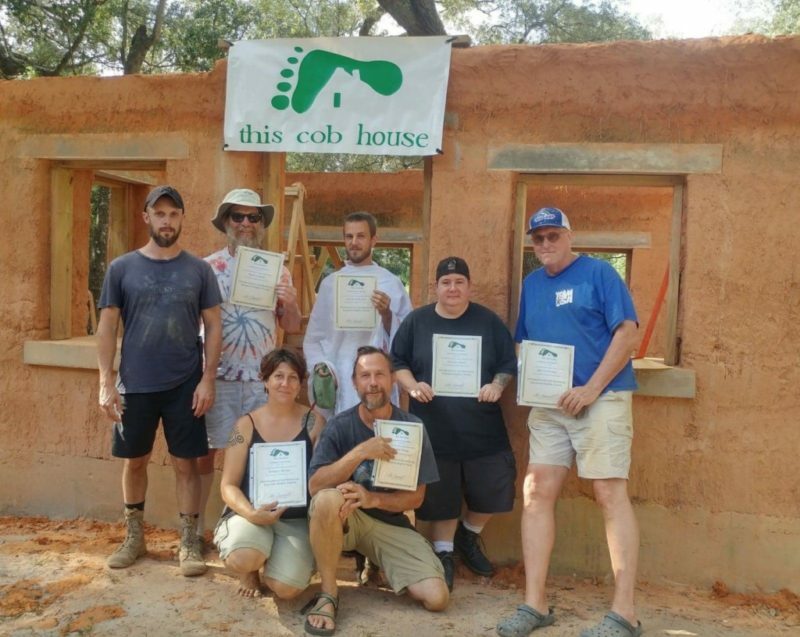 We do not have a designated cook and we encourage collective cooking.This course is designed for beginners that want to learn more about building with Cob. The course is taught by members of Cob Collective Community. Our class size is limited to 5 students. Tickets are first come first serve. We advise that in advance you are physically fit and able to lift at least 25 pounds. 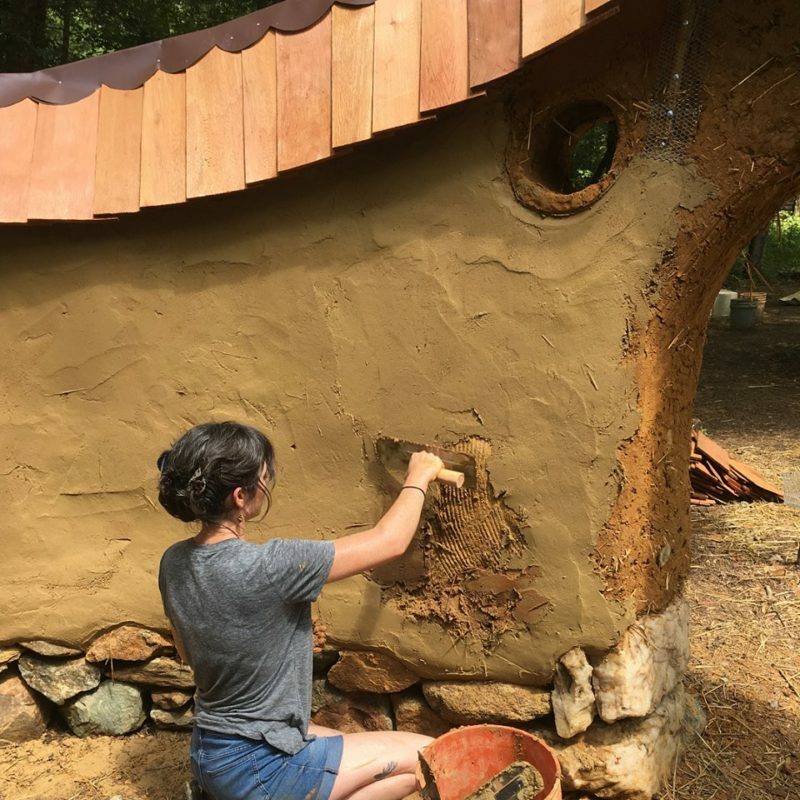 Cob Building by foot is a great workout and you will get messy. Please bring changes of clothing. Independent Study- 3:00pm-5:0pm Practice working with cob at our non profits site. We are also working with youth from a local community center. Our builds are for people who are passionate about community and helping others.